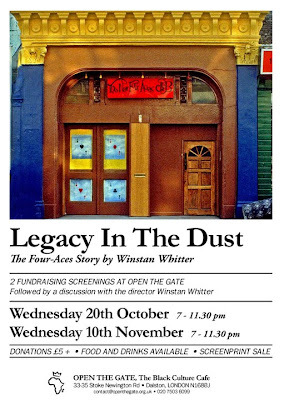 Critically acclaimed documentary, Legacy In the Dust - The Four Aces Story, will be showing on Wednesday 20th October and Wednesday 10th November at Open the Gate, The Black Culture Cafe in Dalston. The screenings will be followed by a discussion with the film's director, Winstan Whitter. 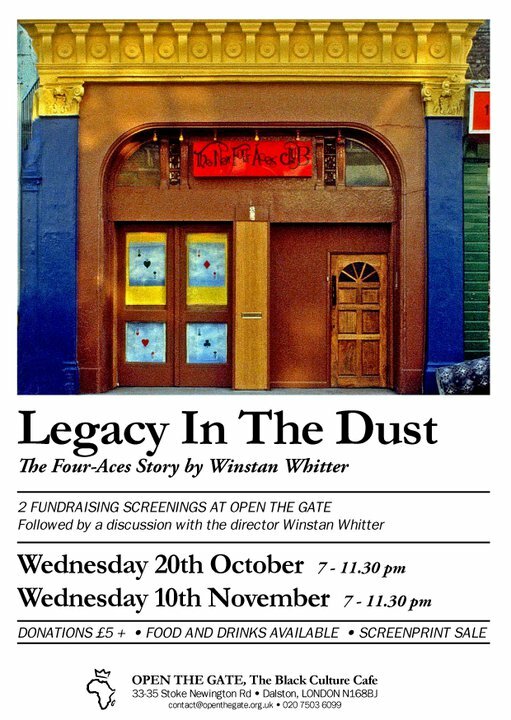 Legacy In The Dust tells the story of the hugely influential Club Four Aces in Dalston, which opened in the 1960s and went on to become one of the most popular reggae clubs in London during the 1970s. Against local opposition the club was demolished in 2006 to make way for for new developments.